Love Jen Kingwell's designs but not sure where to start? 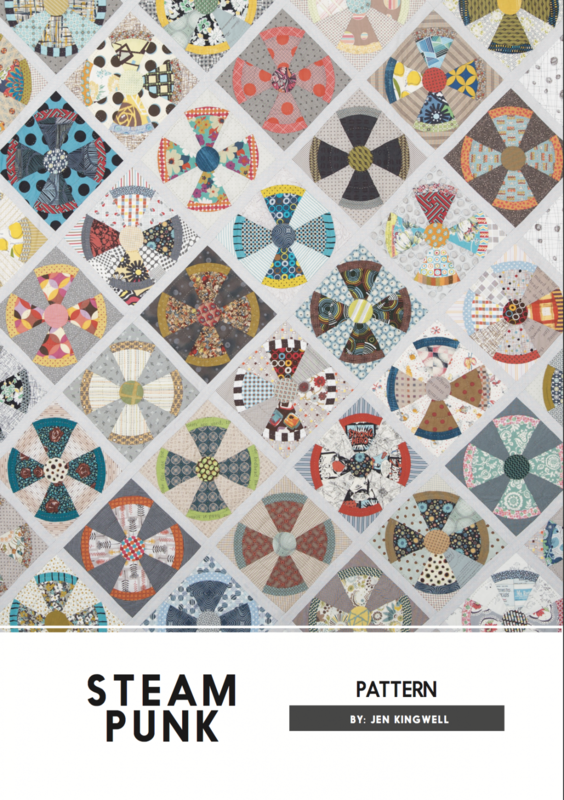 This quilt is a skill builder for the advanced beginner. Lisa will guide you in making these blocks with gentle curves and incorporating them in an on-point fashion. Finished quilt is designed to measure 71" square. Required supplies: Steam Punk pattern and templates by Jen Kingwell; sewing machine, 28mm and 45mm rotary cutters, rotating cutting mat or Quilter Select mat and Odif Grippy Spray for templates; extra fine pins (Karen Kay Buckley's Perfect Pins work well); medium scissors; 5" to 6" square ruler; 6"x24" ruler; hand sewing needle; fabric per pattern; thread.